Let’s face it – when you’re so new at something you haven’t even graduated to “neophite” status, it can be more than a little intimidating getting started. 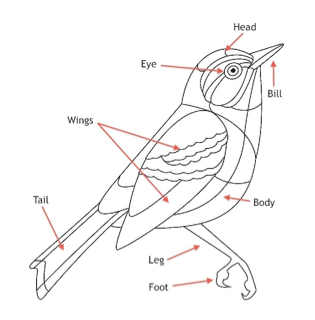 For a lot of people who find themselves curious about birds, the very thought of learning to tell one from another can break them out in a cold sweat, make their heads swoon and send them scurrying back into the house in search of the remote. 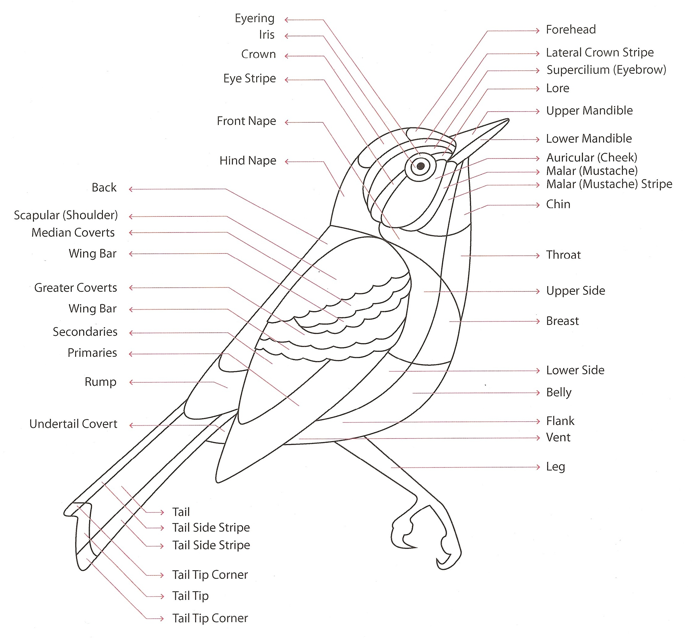 Seriously, if you can ID these parts of a bird, you can be conversant about what you saw. As you go along, you’ll pick up on things and stumble upon words you’ve never even heard of -much less thought you’d hear yourself say out loud. Still, there they’ll be, and you’ll find yourself getting used to them. It can really be a fun and magical experience sharing the company of birds.